He’s called “The Take Home Chef” and he just might melt you with his Australian accent. 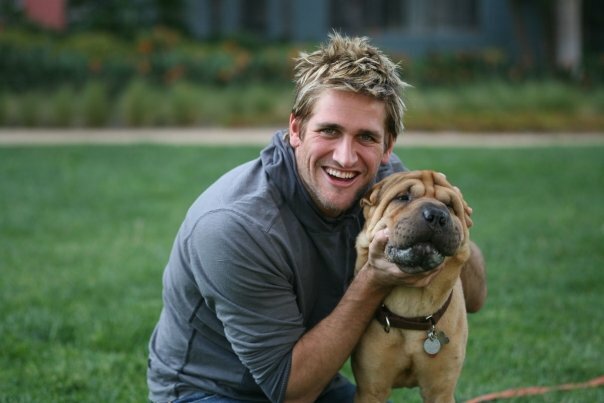 Mr Curtis Stone is, in my opinion, one of the cutest celebrity chefs around. I’m sure you’ve seen him scouting out grocery store customers and offering to help shop, buy, and cook a wonderful meal on TLC. Lately I’ve also see him on Biggest Loser, Today Show, and The Celebrity Apprentice. Stone has his own line of kitchen utensils “Kitchen Solutions by Curtis Stone” and a really cute smile. He has a few cookbooks under his belt along with a number of TV appearances. My mom had a magnet on our fridge when I was growing up and I have really found it’s motto to be true, “I love a man with dish pan hands!”. Links afer the jump! Speaking of my mom, she has a cute photoblog here. You should check it out.